Happy Fat Tuesday! 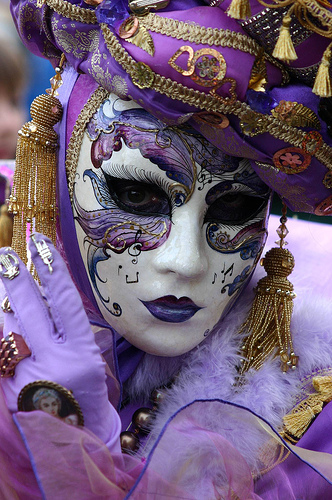 In lieu of today’s celebrations here is one my favorite images of Carnivale from Venice (Mardi Gras in the US). Seeing as today is the prefaced party to Ash Wednesday and the fasting period, what are you giving up for Lent?